With the bright prospects in China cold-chain equipment, Guchen Industry warmly welcomes all of the great business men with foresight to cooperate with us as a distributor. Apply to become Guchen's Distributors today, you can sell guchen's bus air conditioner and truck refrigeration units in your local country. It was in the beginning of 90s, China starts to apply the refrigeration technology on the bus air conditioner and truck refrigeration unit. 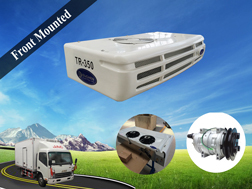 At that time, the foreign brands take the main Chinese market up to 95%, such as ZEXEL and Denso from Japan, ThermoKing and Carrier from America, and Sutrack from German for Chinese bus air conditioners; the Themoking and Carrier refrigeration units for trucks. However the big market share in China, the yield is small at the beginning of 90s. Only about 1000 sets of bus air conditioners and 1500 sets of truck refrigeration units’ production is in Chinese cold-chain market. The good news is that during 20 years study and research, after 2000, the economic in China developed so fast that the bus air conditioners and truck refrigeration units urgently required. In 2000, the bus air conditioners requirement is more than 20000 sets and truck refrigeration units are more than 5000 sets in China market. Until to the August, 2016, bus air conditioners total production is more than 2,0,00,00 sets and truck refrigeration units’ total production is over 20000 sets. The Chinese brands bus air conditioners market share in domestic market is up to 90%, while truck refrigeration units’ market share is up to 60%. 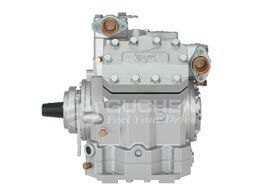 Because of the high price performance and better customer service, Guchen’s bus air conditioners and truck refrigeration units are delivered to all over the world and acquire the good reputation home and abroad. After almost 30 years research and study, China has completely mastered the key technology on compressor, condenser and evaporator. In other words, China has taken the place of Japan in cold-chain technology. 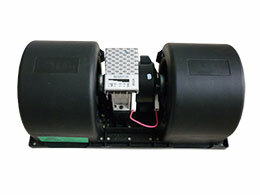 Until to 2016, Guchen’s QP compressor is adopted by ThemoKing, and yearly output is over 200,000. After thousands of times testing, Guchen’s SuperSnow diesel engine driven truck refrigeration units are running well in the Middle East high temperature areas. 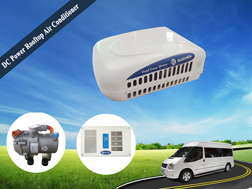 Complying with times, Guchen’s new energy all-electric bus air conditioners are used broadly by Europe, Korea and Japan. In the next 5 years, China bus air conditioners yearly output is about 300,000 sets, take up to the global market share more than 80%. While the truck refrigeration units’ yearly production will be over 50000 sets, take up to the global market share 10%. With the bright prospects in China cold-chain equipment, Guchen Industry are warmly welcomed all of the great business men with foresight to cooperate with us! 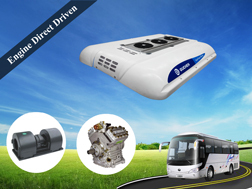 We are looking for the all-electric coach bus air conditioning distributors, van refrigeration units dealer and 12v truck air conditioner dealer. To be as agent, we hope you have great foresight and you are acquainted with the marketing in your areas. We adhere to the win-win principle with our clients. As for now, we have some agents spread all over 5 countries. We promise to supply the high quality products, same quality with Thermo King and Carrier with higher cost performance. *Your E-mail : *Please enter your e-mail.